ERS Cymru have been on the road to find out how to boost political engagement in Wales. Parliament UK – Work of the Committee 2017-18 1.The Speaker’s Committee on the Electoral Commission (SCEC) is a statutory body established under the Political Parties, Elections and Referendums Act 2000 (PPERA). Its work relates to the Electoral Commission and the Local Government Boundary Commission for England (LGBCE). BBC News – School pupils should be given compulsory lessons on politics in Wales, the Electoral Reform Society (ERS) has said. Can Florida Fix Its Election Problems in Time for 2020? Weekly Standard – Florida counts the number of ways to screw up a machine recount When the dust settled from the 2018 Florida Senate recount, Republican Rick Scott had beaten Democratic incumbent Bill Nelson by 10,033 votes. Give or take a few hundred. Maybe more. BBC News – Allowing the UK to unilaterally halt the Brexit process could lead to “disaster”, judges at Europe’s top court have been warned.The European Court of Justice is deliberating on whether the UK can call off its withdrawal from the EU without permission from member states. Derbyshire News – Ranjit Banwait said he still feels that he has secured “a victory” for himself, despite failing to have this year’s local election result in Boulton Ward declared null and void, because he has proved he is not a “liar”. 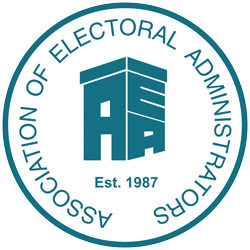 The Electoral Commission – Three new Commissioners nominated by political parties have been approved by the House of Commons to serve on the Electoral Commission Board. The new Commissioners replace individuals whose terms had come to an end.